Here is a new listing at Lakewood that is a 4 bedroom 2.5 baths home located at 20 Juniper Circle. 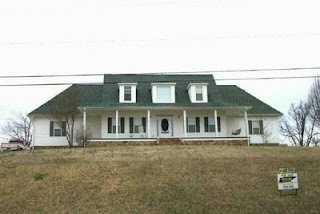 This house is listed by my friend Dianne at Southland and is priced at only $196,900. With 3363' of heated and cooled area this is a a great price for a 4 bedroom home in Lakewood. Although not located on the water, if you are a member of the homeowners association you will have access to 5 different lakes at lakewood!